"At MWC 2017 Chinese smartphone maker OPPO showed a prototype device at its booth that featured a dual-camera setup with 5x optical zoom in a normally-sized smartphone body. 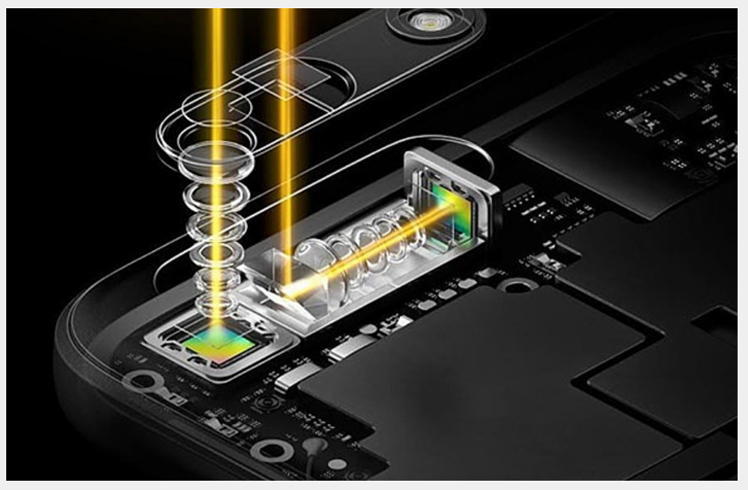 The zoom lens design had been developed in cooperation with CorePhotonics and used a 90-degree angular prism to direct the light to a vertically positioned stabilized camera sensor. The prototype never made it into a production series but now it seems OPPO is going to skip the 5x zoom entirely and make a direct jump to a device with a 10x zoom lens that is based on the same principles. The company is currently sending out media invites for the presentation of a 10x lossless zoom solution in Beijing, China, on January 16"